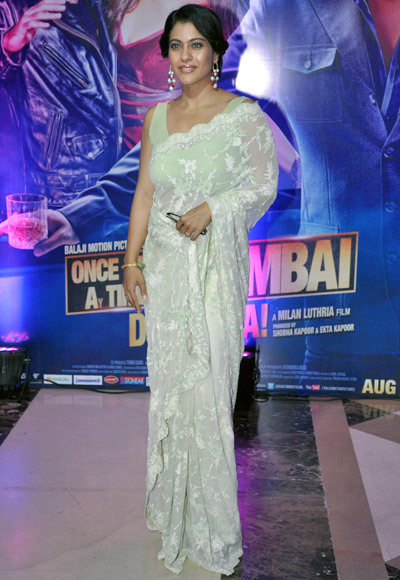 Ekta Kapoor's Iftar bash for her upcoming release Once Upon A Time In Mumbaai Dobara!, held at JW Marriott in Juhu, a western Mumbai suburb, was a star-studded event attended by veterans as well as contemporary stars. 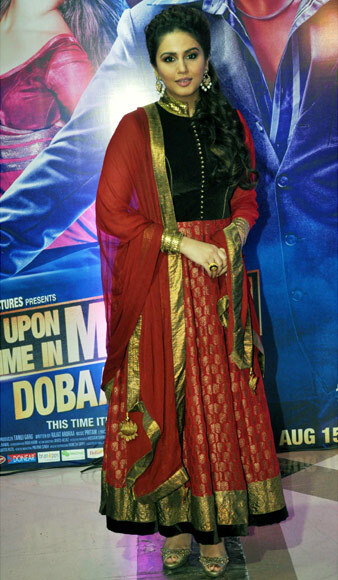 OUATIM 2 leading lady Sonakshi Sinha poses for pictures upon arrival. The film is set to release on August 15. Please click NEXT for more star arrivals. 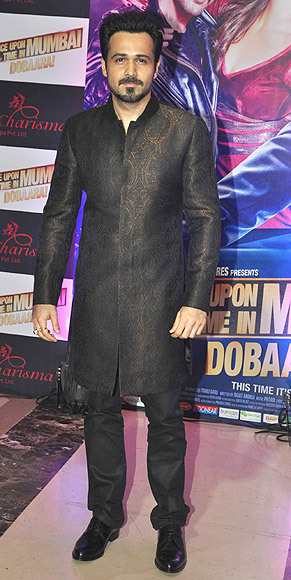 Akshay Kumar, who stars in the film as formidable don Shoaib Khan, arrived with wife Twinkle Khanna. This also happens to be Twinkle's first public appearance since the birth of the star couple's second child -- Nitara -- who was born in September last year. Actress Sonam Kapoor stood out in an embroidered dress by her trusted fashion designer Anamika Khanna. Usually an impeccable dresser, Chitrangada Singh disappointed in her predictable Manish Malhotra outfit. 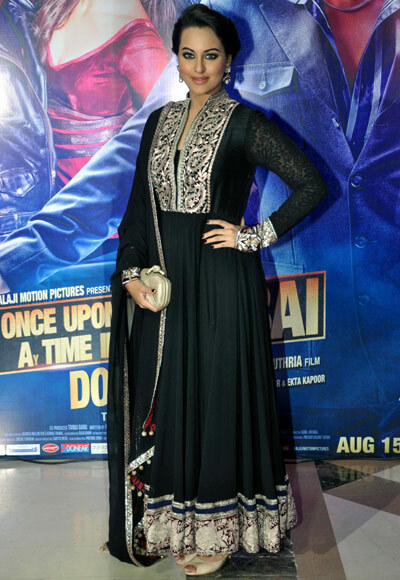 Prachi Desai, who played the female lead in the first film, went the overwhelming anarkali route too for the party. 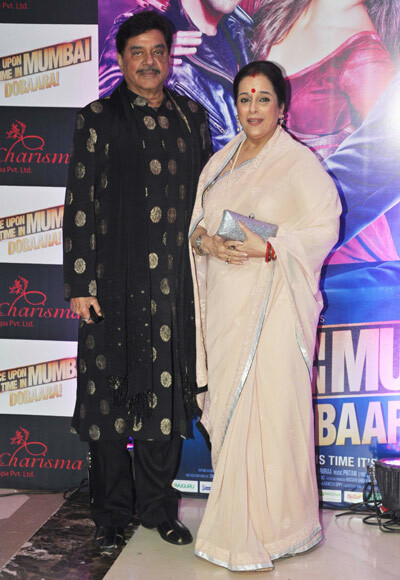 Doting parents Shatrughan and Poonam Sinha turned up for daughter Sonakshi. 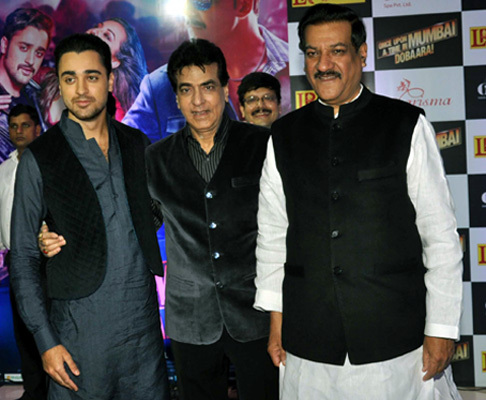 Jeetendra and OUATIM 2 cast member Imran Khan pose with Maharashtra chief minister Prithviraj Chavan. Abhishek Bachchan caught up with his Players costar Sonam Kapoor at the do. Krissh 3 actress Kangna Ranaut strikes a pose. Malaika Arora Khan twirls in her intricate anarkali. 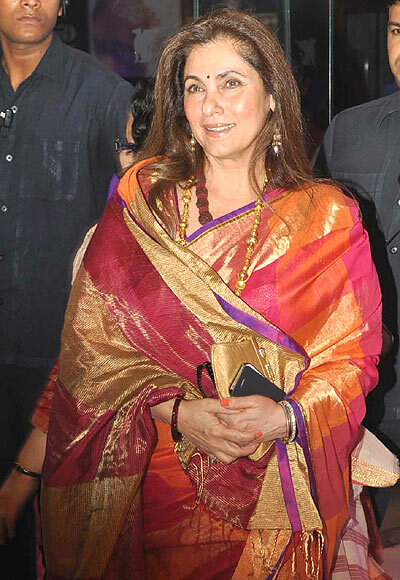 Veteran actress Dimple Kapadia looked as fetching as ever in her Kanjeevaram sari. 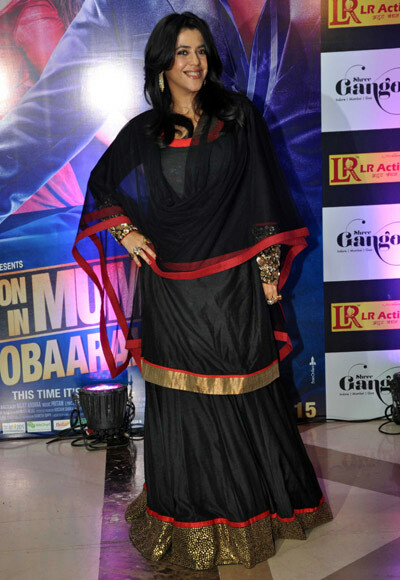 Actress Kajol, rumoured to be making her acting comeback soon, looked svelte in her sheer sari. D-Day actress Huma Qureshi was also also the bash. 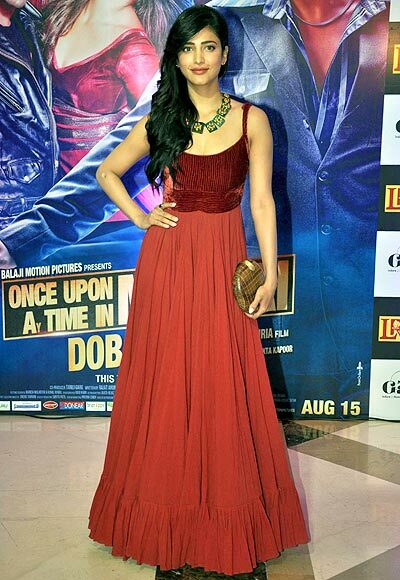 Actress Shruti Haasan chose red for the do. 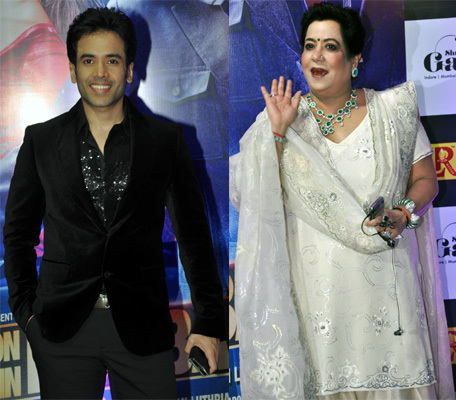 Actor Tusshar Kapoor and OUATIM 2 co-producer Shobha Kapoor, arriving for the party. 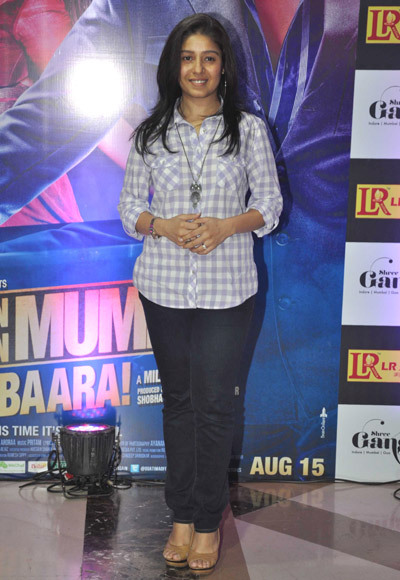 Producer Ekta Kapoor donned a rather curious outfit for her iftar bash. 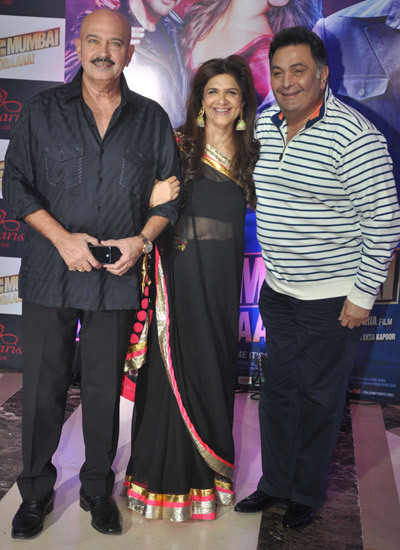 Rishi Kapoor poses for pictures with Khel Khel Mein costar Rakesh Roshan and his wife Pinki. 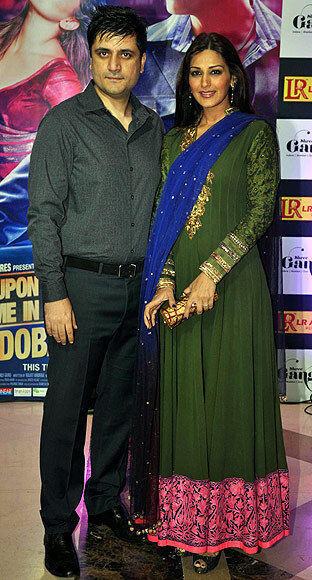 Jolly LLB star Arshad Warsi accompanied by wife Maria Goretti. Lisa Haydon, Urmila Matondkar were also spotted. Emraan Hashmi, who played the original Shoaib Khan, caught up with director Milan Luthria and the new cast of the film at the bash. Actress Shamita Shetty and Tabu put in a rare appearance. Actress Sonali Bendre arrived with filmmaker husband Goldie Behl. Actors Jackky Bhagnani and Amit Sadh pose for shutterbugs. 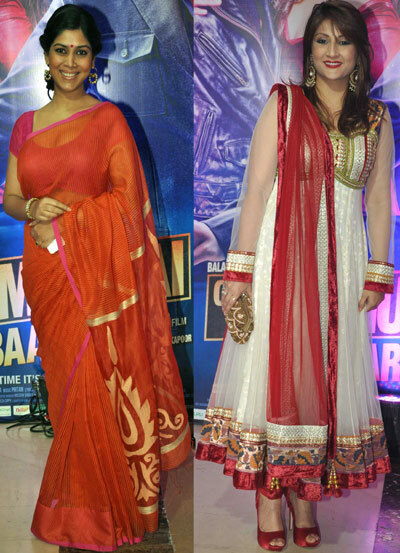 Bade Achche Lagte Hain actress Sakshi Tanwar and Bigg Boss 6 winner Urvashi Dholakia at the bash. 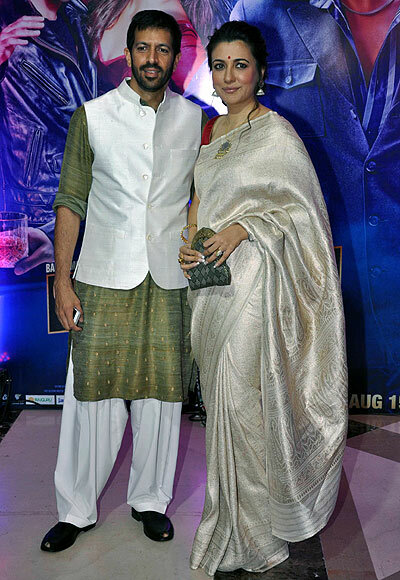 Ek Tha Tiger director Kabir Khan and wife Mini Mathur were in colour coordinated outfits. 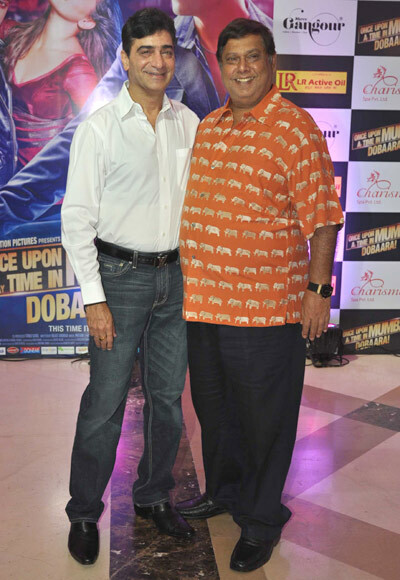 Filmmakers Indra Kumar and David Dhawan catch up. Actress Amrita Rao's eye-popping outfit turned heads. 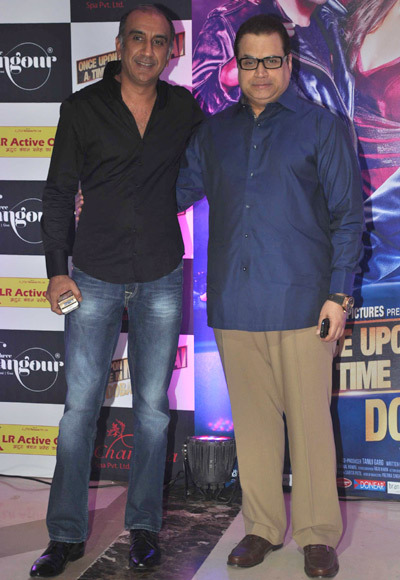 Director Milan Luthria and Ramesh Taurani pose for pictures. Singer Sunidhi Chauhan was also spotted. The Filmi Family Tree: Know who Ayan Mukerji's sister is? Will Shah Rukh end Salman's Eid winning streak? Friends, Mad Men: American shows we want adapted NOW!